Additional payment option available just eMail. PayPal: We can accept PayPal…eMail [email protected] with the training you want to take and your PayPal eMail address. Mandatory Live Session October 9, 16, 23, 30, November 6 and 13. You will also receive a private mentor session and you will need to set aside an extra two hours for testing. You will sign up for those time slots during the live training. What is included in the Foundations Training? Amazing welcome Package that includes a knot learning shawl and other surprises. Weighted demo dolls: We have professional weighted demo doll $120 to $130 Shipping $12 in USA International $40 to $70 depending on the country. We also can point you to instructions on how to make your own demo doll. Stuffed animals are not acceptable substitutes. Why do you have a registration period? We've been scratching our head for years to give you an online training that still makes you feel you are part of a community/group. We think we came up with some great solutions! You will receive a package from us with gifts, motivation, and surprises. We promise it will be super fun and will enhance your learning experience. Therefore, we need extra time to get the package to everyone, and this means registration must close early. Do I have to attend all the live sessions? We do realize the times might not work for everyone, but we ask you to make accommodations. What happened if I miss a live session? We understand that things do happen and sometimes circumstances change. If you have to miss a live session or are unable to keep up with the class, then you will not be able to graduate with the rest of the group. If you miss one day, we can explore connecting you with a Progression Mentor to help you cover the material you missed. Expect an additional cost for this option. Should you need to miss more than one live session and move to another class, we will understand of course, but ask you to pay a change fee of $200. Hosting an online class that has LIVE sessions is asking you to commit to yourself, me, and your classmates. Your project group would be without a partner and have more work and less experience to draw from should you be unable to commit fully. I recognize it may not be the way other online classes are done. However, you have been in class with me, and I am sure you would expect little else from me than my full attention and energy. All I ask is the same in return. You must have access to a high-speed internet connection. We use Zoom Video Conferencing for the live session, and you will be on camera during all live sessions to interact and practice your carries. Zoom can be used on the most operating system and works on smartphones and tablets. Your device needs to have a camera so you can interact with your classmates. You need to be comfortable with technology since the entire class is virtual. We will be using the following software, platforms, and apps: Zoom (Video) Slack (Communication) Pinterest (Team Board and Business Building), Instagram (Inspirational & Motivation - this is optional and highly recommended) and our Class Portal via the internet. We will host a 'tech and scheduling' class in the week leading up to the course. It will be live and you will be able to ask your questions. Additionally, it will be recorded and available for replay. Yes, you will receive all the material via the class portal which means the manual will come in a series of pdfs. They will only be available in this format. The new manual is workbook-style; this means you will get to fill in the blanks during self-guided and live interactive learning. 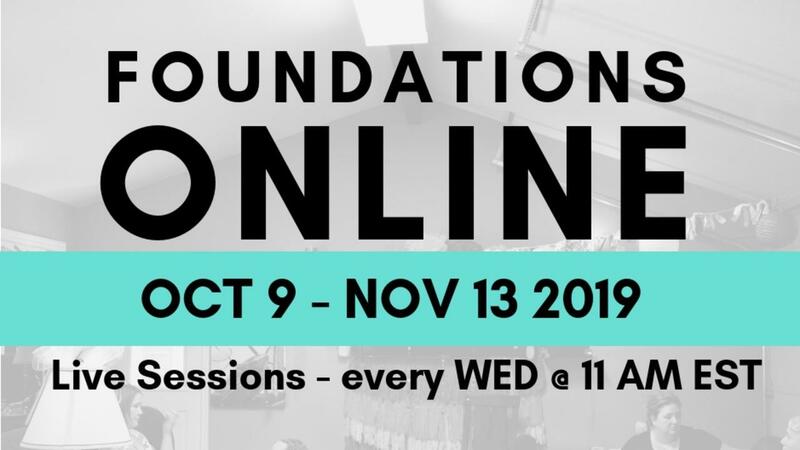 Foundations is our core course, a program built to cover the most important information you will need to start, grow and add to an existing business.The Center for Babywearing Studies focuses on high-quality training specifically designed to create a well-rounded babywearing consultant who has the ability to truly assist others. The skills of teaching and creating a positive environment are critical to the success of the consultant and we will prepare you for that journey. Learn how to teach others to wear baby carriers: Pouches and ring slings, woven and stretchy wraps, meh dai and SSCs (soft structured carriers), plus a few knots. Examine the physiological and the psychological aspects of infant carrying. Identify how to assist someone in discovering what makes a good carry/carrier for themselves. Discover and recognize the importance of a systematic approach. Understand our core principles which will guide you as you meet each new parent. Design your own concept for an individual consultation. Explore sensitive listening and it’s importance in successful consultations. Delve into incident data reports from the CPSC (reports of injury in baby carriers/while babywearing) to better understand what concerns exist with regard to babywearing. This class has a lot of hands-on training and time for discussion of particular issues and concerns for your individual situation. 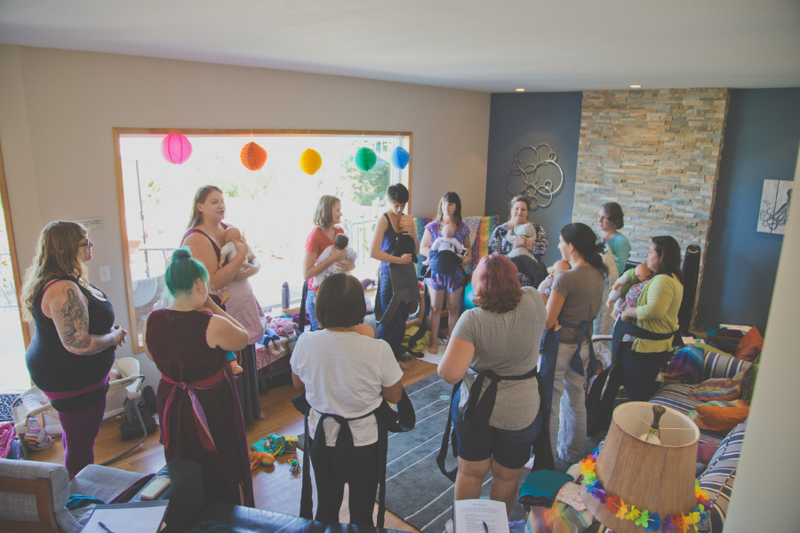 Whether your focus will be exclusively on babywearing or you will be adding babywearing in as an additional resource for your existing clientele, Foundations can help you build the skills you need to be successful. We also have unparalleled insight into the specific needs of Retailers and Manufacturers as we have been there, specifically in the baby carrier retail business. Foundations will help you to provide your customers with a great base of instruction and provide consistency across your staff. You will walk away with the ability to connect faster, deeper, and gain the trust of your customers. Available until July 9th 2019 or when sign up limit is reached.